Neo 1973: the free, opensource, Linux based anti-IPhone! Last July 9, the Openmoco Inc. (a Taiwanese company) launched Neo 1973 developer edition. Today, in our Linux Page we have posted a complete review about the main features contained in this quad band, GPRS enabled mobile. The consumer version is planned for next October and we hope there will be a decrease in its actual price (USD 300). The many features contained in this mobile are -more or less- the same that in the IPhone but the main difference is that Neo 1973 is based on 100% open source software and it can easily opened for any desired hardware modification (only if you are expert hackers). 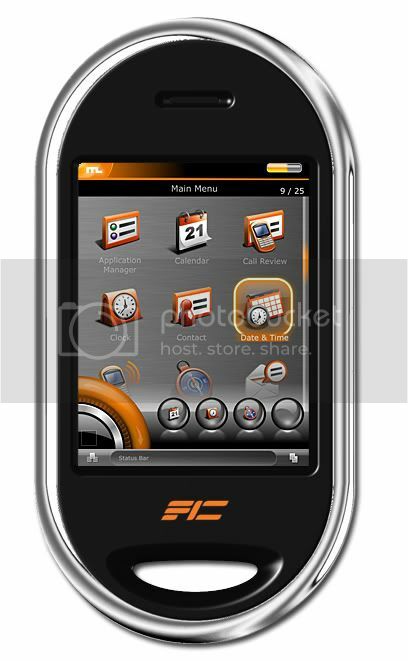 The 2.8″ VGA TFT color touchscreen display is a little bit smaller than in the IPhone but it is very clear and the images look sharp. Bluetooth 2.0, AGPS and a USB 1.1 port are integrated. Last but not least, Neo 1973 supports high quality audio codecs and a Micro SD slot which can be used to upgrade its default 128 MB RAM and 64 MB NAND Flash memory. This entry was posted in AGPS mobile, Anti Iphone, Bluetooth, Computadoras, Computers & Internet, GPRS Mobile, iphone, Linux, Linux & OpenSource, Linux based mobile, Linux Tips, Neo 1973, News, Noticias, Noticias sobre Linux, Openmoco, PC, Software, Software News, software newspaper, Technology, Technology and Software, Technology News, Tecnologia, touchscreen on July 21, 2007 by Galigio.